Initially, the Akimel O’Otham experienced little intensive colonial contact. Early encounters were limited to parties traveling through the territory or community members visiting settlements to the south. The Hispanic era (A.D.1694–1853) of the Historic period began with the first visit by Father Kino to their villages in 1694. The beautifully simple, opaque sky blue, mandrel wound glass bead, with an unique satin-like finish that is usually known as the "padre" bead, is thought to have been one of the earliest beads traded in the Southwest. There is a mystery surrounding its history, but it may have been traded by Coronado himself or other early conquistadors and padres. [insert skepticism here - me] To the author's knowledge they have never been found in a cremation or have they been found in a California site. 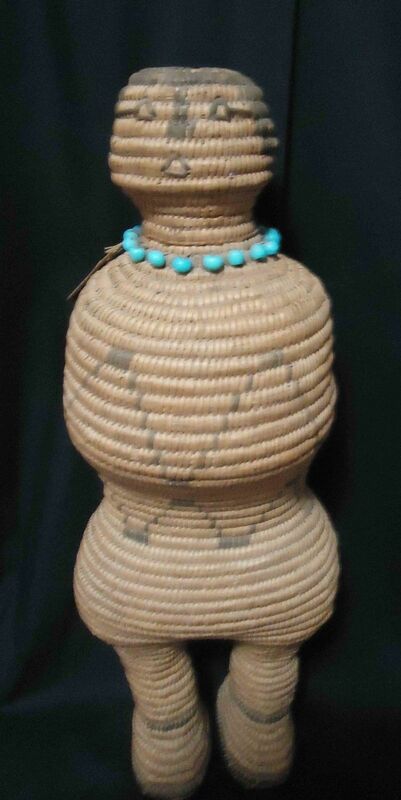 The bead is sometimes found in old Pima shrines and early Spanish contact sites. 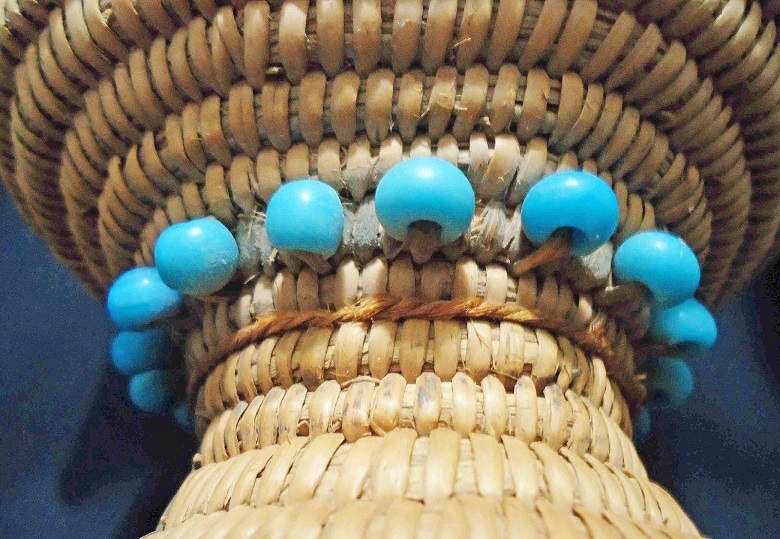 It is a rare bead, still highly valued by the Indians of the southwest Arizona and sometimes handed down through a family. A very similar bead, however, is found in the Northwest, especially along the Columbia River drainages. Careful study by persons familiar with both bead types, however, can usually show minute differences.